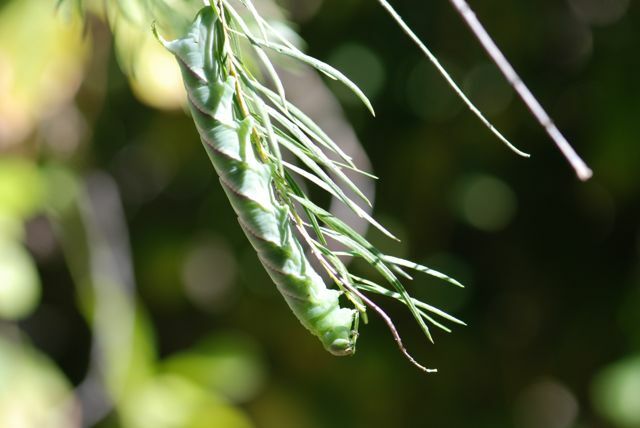 Manduca rustica caterpillars usually feed high up in the desert willow tree and are hard to observe. This week one chose a low branch that was within easy reach. It was eating the willow leaves from tip to base. 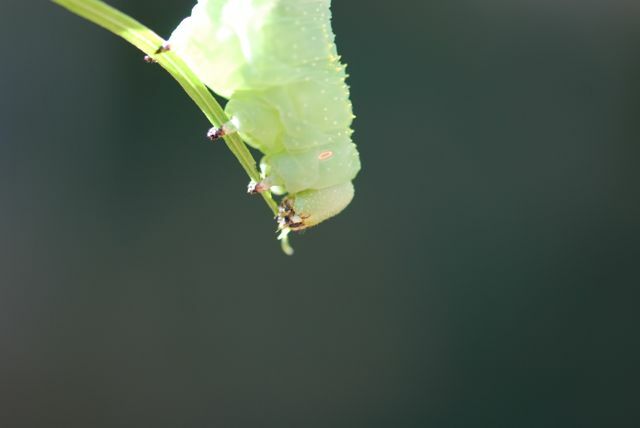 Can you see its legs, which is uses to hold onto the leaf? What about the antenna and eye, which are right by the mandibles? The cream-colored oval behind the head is a spiracle. Spiracles are opening that allow air to pass into and out of the insect. 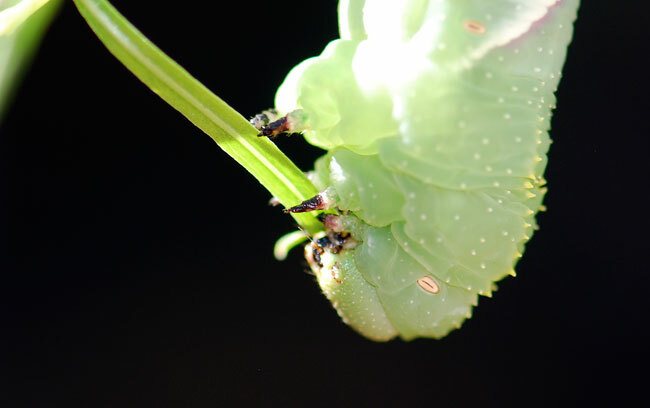 Have you ever watched a caterpillar eat a leaf? What kind was it?